Fast selling item! 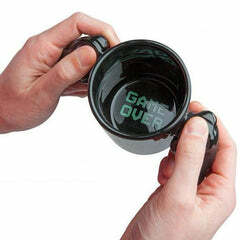 This odd looking ceramic mug will feel natural to most gamers, with it's Playstation-style double handles. Once the delicious coffee is all gone, the game is truly over, and it'll let you know.